Tired of corruption and slow EU integration, many young Moldovans are emigrating. There is no one who does not want to leave, they say. But some remain precisely for this reason, out of concern for their homeland. "I don't really know why I came back," says Nicolae Leontiev. "Even my parents were very surprised," he adds, laughing. He lived and studied in Romania for six years before returning to Chisinau, the capital of the Republic of Moldova. Nico, as he prefers to be called, is almost an exception in his home country. It is estimated that every fourth Moldovan works abroad. Many of Nico's friends have also left Moldova in search of a better life. Romania, Canada or France are now their homes. After independence, many emigrated in the 1990s because of high unemployment. Even today, the economic situation is unstable. Moldova is considered Europe's poorest country. However, young people are now emigrating not only for economic reasons but also because they are frustrated by political developments. Four years after the Association Agreement was signed, the European Union has recently cut aid funds due to perceived democratic shortcomings in the country. This year has seen numerous protests in Moldova against corruption and for an independent judiciary. Nico is also dissatisfied with Moldovan politics. 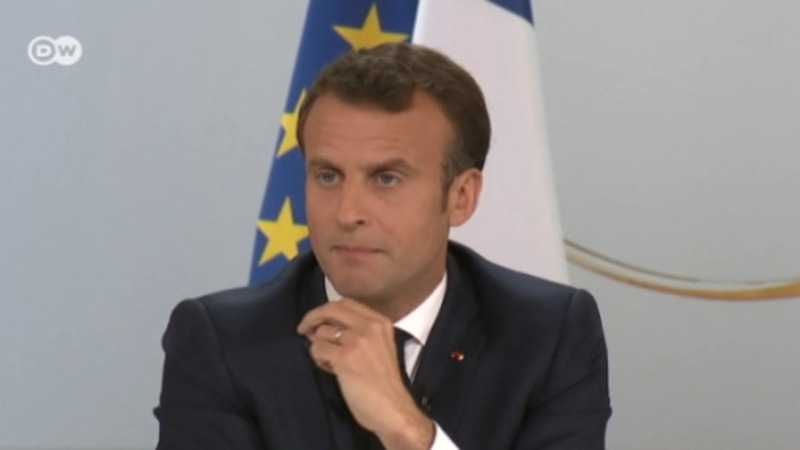 As soon as he starts talking about it, his otherwise friendly face becomes serious and his voice more emphatic: "In order to achieve anything in our country, you need connections. Everything is political." But then he weighs things up and explains what keeps him in the country whose politics he despises: "Moldova is my home. This is where I was born, this is where I had my first great love, where I had my first experiences." Nico is one of an estimated one million Moldovans who have Romanian citizenship that makes it possible to live and work in the EU without any problems. Why doesn't he do this? In order to understand, you have to take the trolleybus to the final stop and walk between the run-down prefabricated buildings across the grounds of the Technical University, which clearly shows its Soviet past. Shortly before reaching the city outskirts, surrounded by fields, there is a modern building where Nico works: Tekwill, Chisinau's small "Silicon Valley." "You wouldn't think this was in Moldova, would you?" Nico asks with a laugh, as he welcomes us. At Tekwill, young start-up employees sit in modern offices with glass partitions and work on their laptops. There's a room with a 3D printer, a table tennis table and a communal networking breakfast on Thursdays. Here Nico works in the marketing department of the start-up "Gaus," a platform for young software developers. He is very happy with this work and can pay his bills, which was a challenge every month in his previous job. Tekwill's founders hope that their institution and start-up academy will attract companies and investors and strengthen the country's IT sector. Most of Tekwill's funding comes from abroad. "Our own politicians do nothing to keep the young people here," criticizes Nico. For Valeriu Ghiletchi, deputy parliamentary president, emigration is a major problem for Moldova. "The long-term goal is to make the country more attractive so that young people stay." But at the same time the politician describes this as "Mission Impossible." He doesn't blame the young generation and believes the desire to emigrate stems from Moldova's Soviet past. In contrast to Ghiletchi, young people usually only know the Iron Curtain from their parents' stories. But the diaspora is also an economic factor for the state. The money that migrants send home accounts for one-fifth of the gross domestic product. There are only nine countries in the world where this share is higher. But Moldova is losing many qualified workers as a result of emigration. There are some government programs, such as financial support for returning emigrants who want to start a business. Non-governmental organizations, however, criticize them as not being very effective. "They sometimes have good initiatives, but they don't get through because the politicians actively work against each other," says Mariana Turcan. That's why Turcan's "Eu aleg Moldova" ("I choose Moldova") campaign aims to convince young Moldovans that they have a future in their homeland. Emigration seems to be in vogue right now. "Since when is it a disgrace to stay in your country?" asks Turcan. She sits in a self-service cafe, where cappuccino is only available in paper cups, and discusses the problem with student Ruxanda Tabuncic and psychology lecturer Viorica Mocanu. "We had only half as many students at our university this year as usual," Mocanu says, visibly disappointed. Mariana Turcan is sometimes frustrated by problems such as corruption in her home country. She is driven by what she laughingly calls "idiotic patriotism." It's easy to complain and leave the country, but you can only change something if you stay, she says. To this end, she organizes summer schools, for example, in which young people are integrated into social projects and motivated to volunteer. In addition, Turcan organizes events where young people who have achieved something professionally tell others about it. The idea is to offer a more dynamic atmosphere that offers hope: Many young people here simply do not know what to do after school and therefore go abroad. "The idea is to encourage young people to bring their skills to the home country. She has already convinced student Ruxanda — she is now involved as a volunteer in the campaign. Ruxanda proudly wears her T-shirt with the inscription "Moldova — casa mea!" on her back: "Moldova is my home!" Turcan knows that, in spite of everything, politics has to cooperate. She herself may be able to change young people's attitude to their country, but she cannot repair the broken roads or raise village teachers' salaries to keep them there. Nico is someone who cares a lot about his homeland. That's why he wants to stay and help develop the country for the better. But it could be that he will say goodbye to his homeland at some point, he says quietly at the end. "Even though I know it's not really right," he adds quickly. The research for this article took place as part of a study trip by the German Society to the Republic of Moldova, which was sponsored by the Federal Foreign Office. Tanya moved to Italy five years ago where she works as a caregiver for the elderly and earns about 850 euros ($960) a month. But her three daughters - Karolina, Sabrina and Olga - were left behind in Moldova. They were eight, nine and 12 years old, respectively, when she left. The girls initially lived alone at first, even though the oldest was only 12 years old. After a time, they began living with various people, to whom their mother regularly sent money. Now the eldest daughter, Olga, is finishing high school in Chisinau, while Sabrina and Karolina have joined their mother in Italy. For the past seven years, Katalina's parents have barely been home. Her parents found jobs in Moscow and later moved to Italy after receiving work visas. Katalina's grandmother lived in a different village, but she eventually moved in with Katalina and her brother, Victor, to look after them. Ottilia was barely a year old when her parents left Moldova. Her mother and father paid 4,000 euros each to get into Italy without proper documents. The girl didn't see them for five years and lived with her grandmother, who she called "mom." A year ago, Ottilia's parents managed to get a residence permit in Italy and brought their daughter to live with them. Lilia moved to the West with her husband eight years ago. The couple had to work hard to repay the debt they took on to pay for the illegal border-crossing. Their daughters Nadia and Alina were nine and six at the time. Lilia sent parcels to her children three times a month. The family is reunited now, but it has come at a high price - the "visas" for the children cost 1,500 euros each. German photographer Andrea Diefenbach tells the story of Moldovan children in her book "Country without parents," published in German by Kehrer-Verlag.